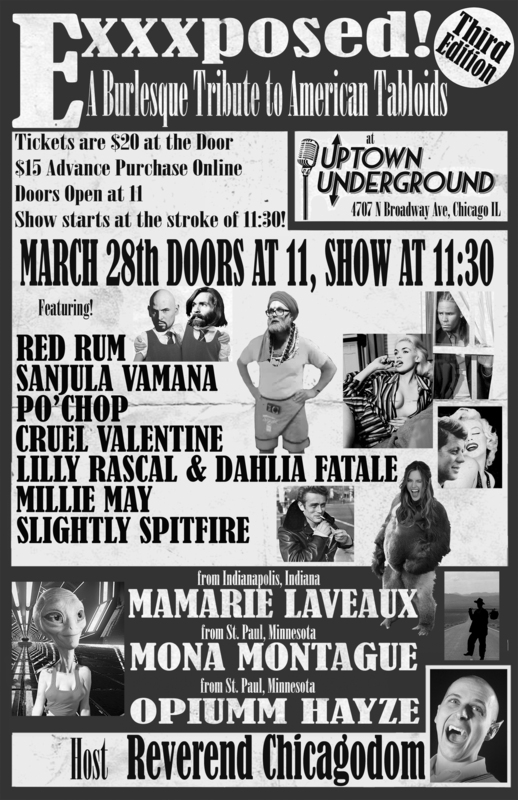 I am so pleased to announce I’ve once again started making posters for the amazing Red Rum and her monthly shows over at the Uptown Underground. This is the first time I’ve made a poster for the whole month, usually it’s a new one for each show within the theme (see Exxxposed below…). This one’s for October, and I was given the prompt “vintage William Castle Horror poster” which was SO MUCH FUN. 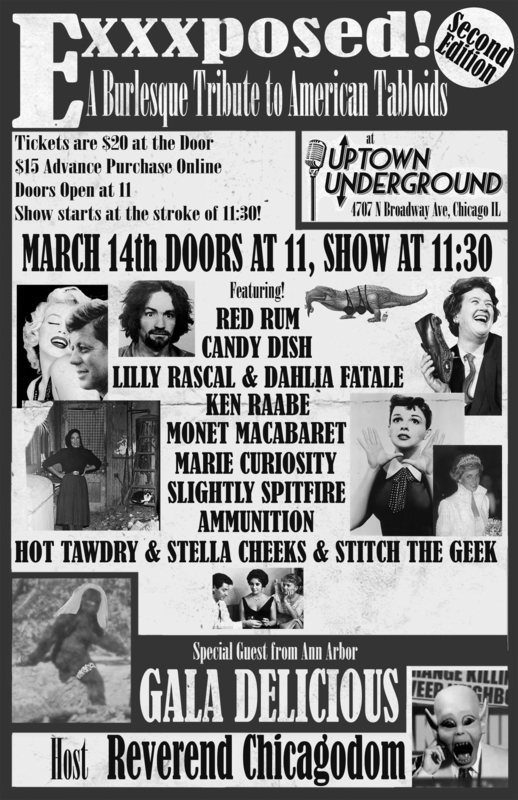 Check it out this October at Uptown Underground! Honestly, a lot of this blog is about improvement, and I certainly feel like I’ve improved my poster work. 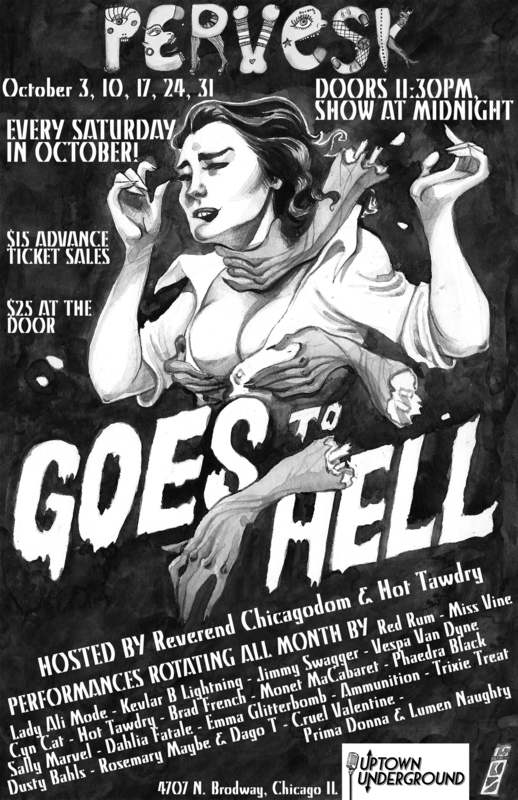 So much so I’m including all of my current burlesque posters (none of the other show posters, though – check out my Brain Frame tag). 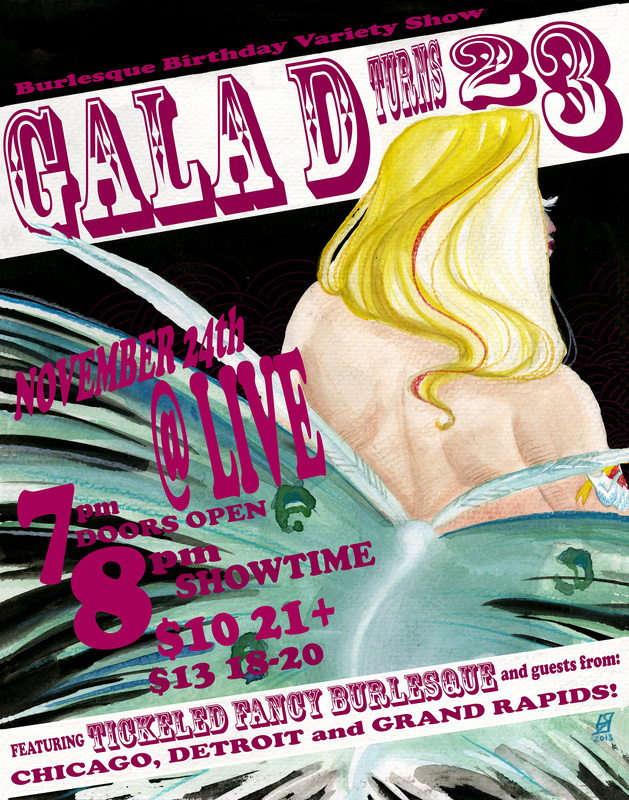 I love all of these, and am currently working with Gala Delicious for this years birthday show! Some of these are more successful than others, but all were met with high acclaim from the people who commissioned them, so I’m happy. 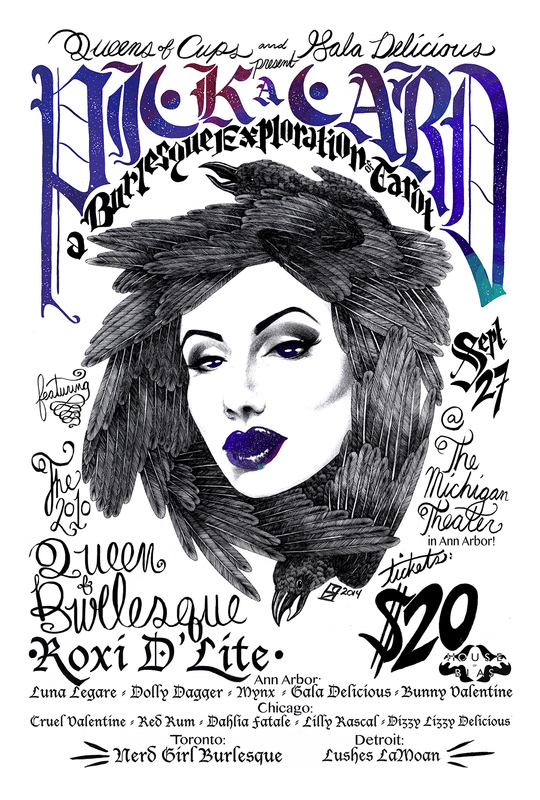 And the first burlesque poster I ever made! The first one ever made partially in photoshop, not too bad.